Arizona didn’t waste much time in filling a vital position in its football recruiting department. The UA on Tuesday announced the hiring of Cody Moore as senior director of recruiting and high school relations. Moore replaces Andy Vaughn, who left for a similar position at Miami in early March. 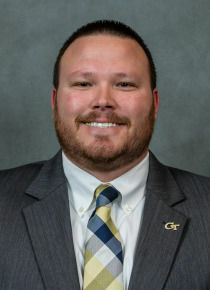 Moore comes to Arizona from Georgia Tech, where he served as associate director of player personnel the past two seasons. He also served as the assistant recruiting coordinator at Arkansas earlier this decade. In between, Moore spent three seasons as the defensive line coach at Abilene Christian. Moore played for four seasons at Oklahoma Panhandle State before launching his coaching career in 2005. His stops included Hardin-Simmons (defensive graduate assistant), Auburn (defensive administrative assistant), Texas A&M (defensive quality control) and Central Arkansas (interior defensive line coach/recruiting coordinator). Arizona lost Vaughn and coordinator of on-campus recruiting Christina DeRuyter — basically half its recruiting team — in a short span after each had spent less than a year in Tucson. DeRuyter took a similar job at Texas Tech. Asked Saturday whether he was worried about losing talented people, for financial or other reasons, UA athletic director Dave Heeke said he was not. “That’s a natural process in college athletics,” Heeke said. “I don’t see any concerns. There’s always a unique reason. This is a small industry. People go back to people they know, that they’ve worked with before.